Having trouble getting your kids to eat their veggies? 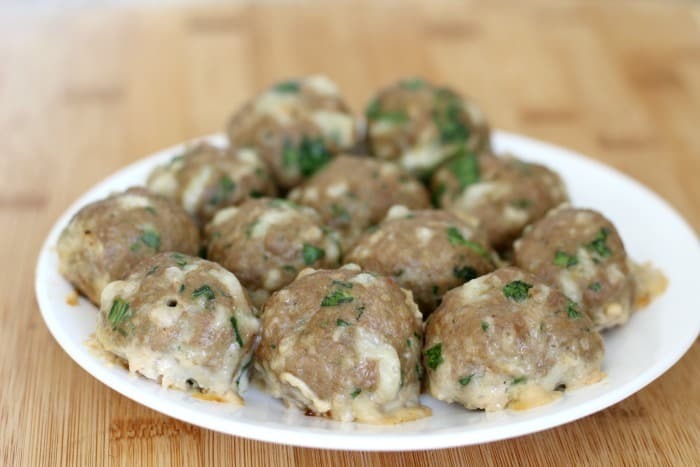 One taste of these yummy cheese and spinach turkey meatballs and they’ll be begging for more. 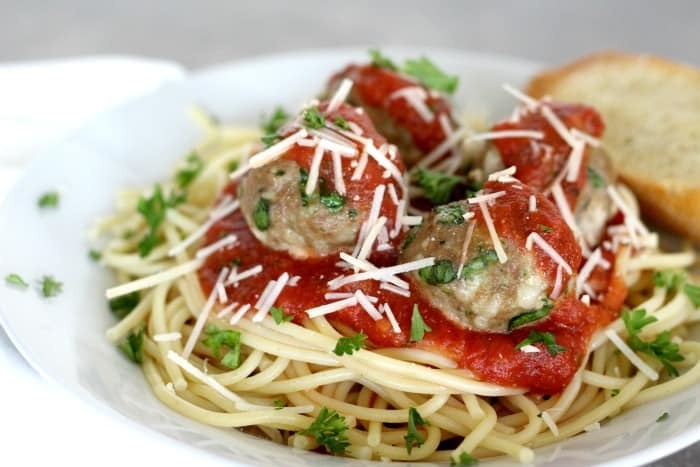 Why is it that kids love spaghetti and meatballs so much? My girls would eat it every night if they could! However, getting them to eat their veggies is another story. While they’re starting to learn to like some veggies, it’s still a struggle sometimes. I decided that there had to be an easier way. As I was making turkey meatballs one night, I thought I’d see what happened if I threw a little spinach in the mix. My girls love my baked ziti with hidden veggies so it wouldn’t hurt to give it a try. I also added cheese for good measure…cheese tastes good in everything, right?! I thought my oldest might be okay but I was ready to hear some protests from my youngest. To my surprise, she ate every last bite. The next time I made them, I added even more spinach and that was a success too. 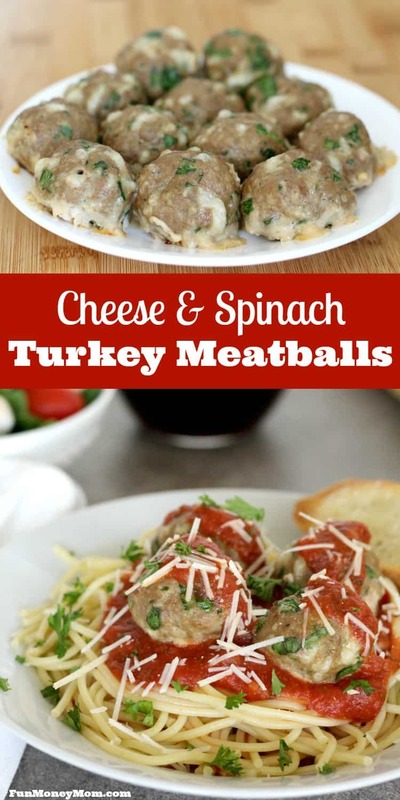 Now, these cheese and spinach turkey meatballs have become my favorite meatball recipe, mostly because I don’t have to bribe my kids to eat their veggies when I serve them. 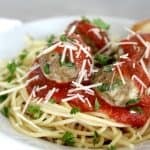 The great thing about this recipe is that I often double it and throw the extra meatballs in the freezer for next time, making it an easy recipe for those nights when we’ve got gymnastics, ballet or other activities. While I prefer to use ground turkey, beef would work just as well. First, get your cookie sheet and spray it lightly with cooking spray, Then preheat your oven to 375. Combine the turkey with egg, Worstershire sauce, bread crumbs, cheese and spinach. Now, get ready because as soon as you put your hands in to start mixing it all together, your phone will ring…happens every time! Once you mix the ingredients, form your meatballs and place them on the cookie sheet. Don’t forget to start boiling your pasta! Cook for approximately 10-12 minutes (internal temperature should be 165). Now, serve with your favorite pasta and sauce and watch your kids clean their plates! You can find Lisa at Fun Money Mom blogging about recipes, parenting tips, money saving advice, travel and more.